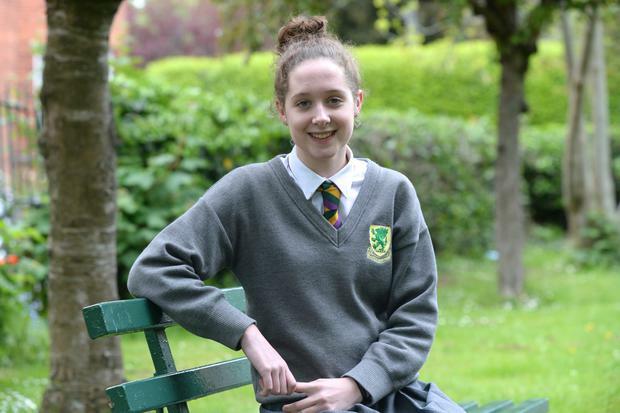 Isabel Doyle who attends Sandford Park and will be writing for the Herald during the Junior Cert. Tomorrow more than 118,000 students will open their first exam papers as the Leaving and Junior Certs begin. Dr Tony Bates, founder and CEO of mental health charity Headstrong had some practical advice for those sitting state exams. "You're right on the eve of it now and your best asset is yourself, your brain and your own confidence and belief in yourself," he said. "When you walk in try you give yourself a moment in the exam hall to stop, to put your feet on the floor, your bum on the chair and take three breaths. "Just take a minute to come down, you need to get below the level of anxiety in your head in order to be able to remember what you know and you know a lot more than you realise. "Just say to yourself, 'I'm here now. I've made it'. Just think, 'this is it and all that is expected is that I give it my best shot - and I can do that'," he continued. Dr Bates also had some key counsel for how to approach the papers in a sensible manner. "Read the question - that's worth 10pc of your marks and also plan your time," he advised. Speaking on RTE's Morning Ireland the expert also had some warnings for parents and guardians ahead of tomorrow's exams. "To the parents I would say look this is a time to let go of the nagging, the coaxing and the criticism. This is a time to keep things as calm as possible," he said. "You have your dreams about your children but this week is about them, it's not about you." He said that students taking exams need space and not to be overcrowded. "What they need to know is that you believe in them," he said. "For so many parents, I think they are so wound up that they need to consciously calm down." English papers for both sets of exams will be handed out in 5,000 exam centres around the country tomorrow.